It's been 3 weeks since the crew came back from our TP (Tanjung Pinang) fishing trip on the Kansas 99 with Captain Asiq but I haven't found the time to compose the CR! 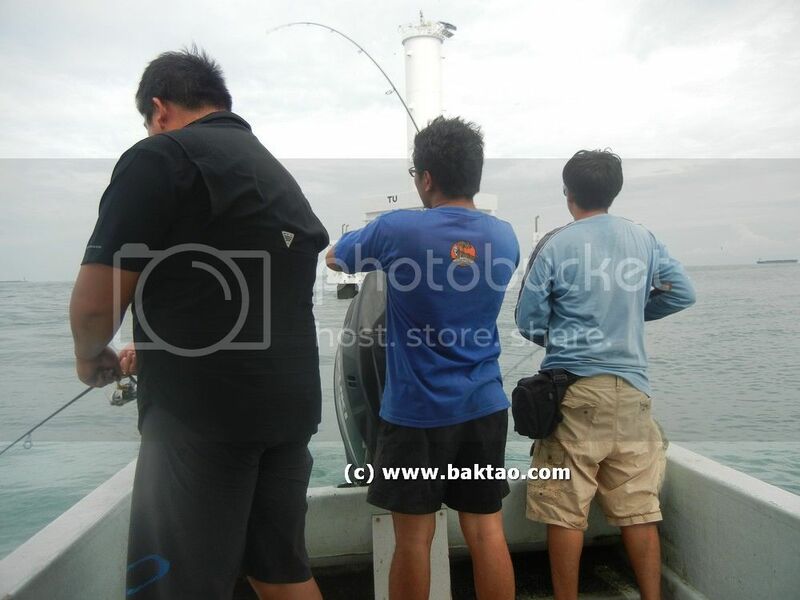 The catch report is already at fishingkaki.com though. No fishing icebox problems this time! Our Coleman Iceboxes made it through safely and made it back! Anyway, we had a dinner gathering for the group at two chefs eating place commonwealth. You can google if you need two chef's address. 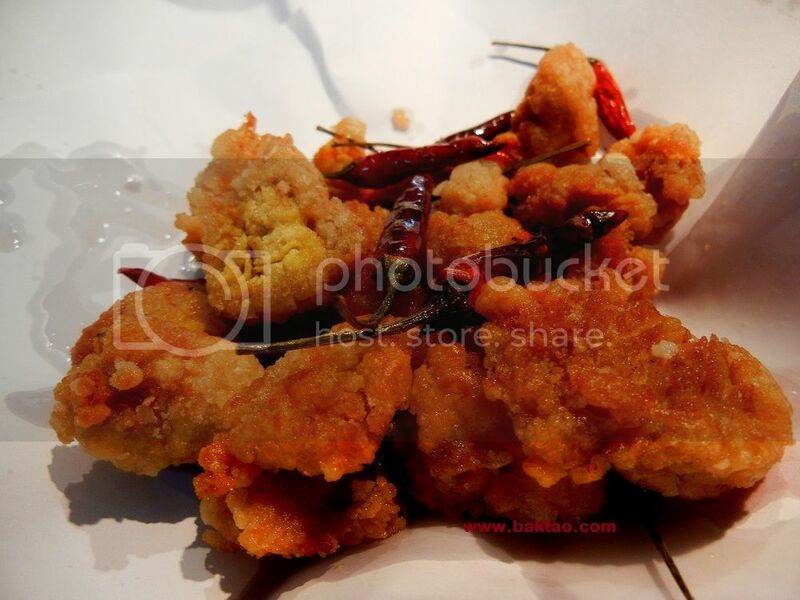 2 Chef is usually known for their gu yu or milk power pork chops, golden mushroom tofu and raw hum. But they usually will entertain you if you bring your own fish (cleaned of course) to them. We had brought a snapper (big spanish flag), bulat (bludger trevally) and chermin for them to cook! Out came teochew steamed chermin, sweet and sour fried snapper and bulat curry! Nothing beats having your fresh catch cooked and having drink over fresh fishing stories! 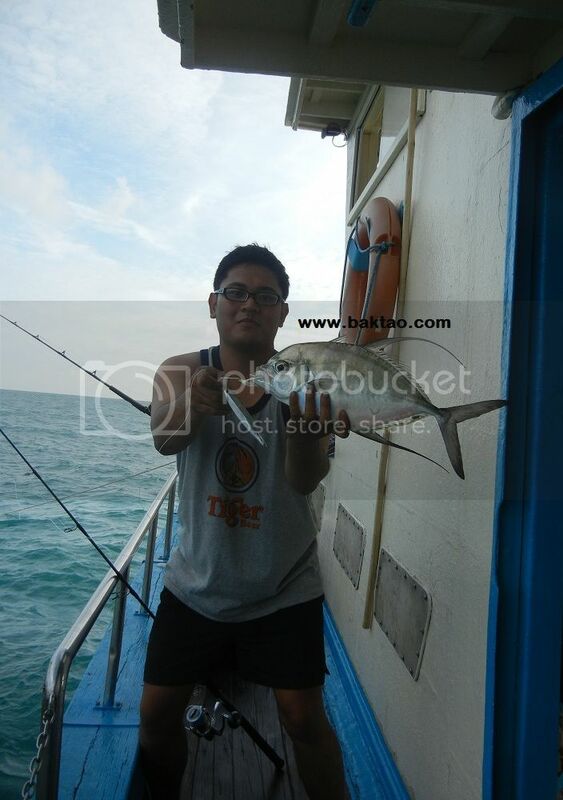 On this trip, nick was the only merlion (seasick) but he still brought up some decent fishes. His Daiwa Saltist 40SA and Eupro Hammer Jig PE 3 - 6 was good enough. 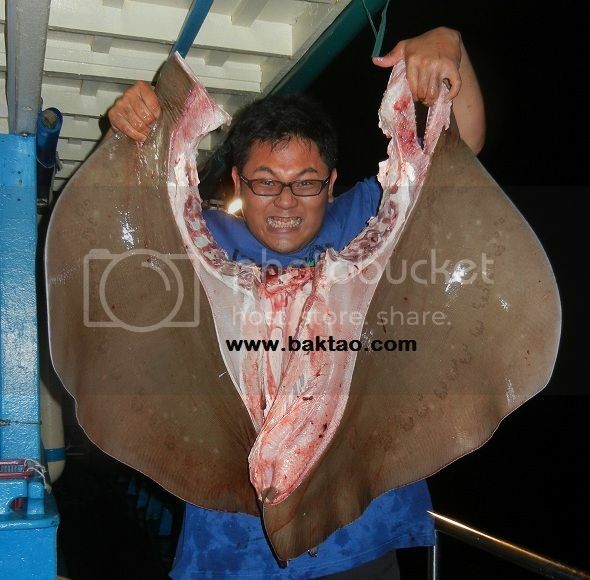 Going to have the stingray for BBQ soon! Stay tuned for the full catch report! 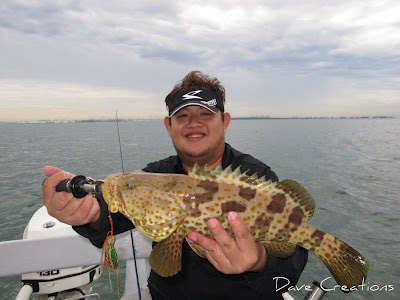 Singapore Jigging with Best Bet! The famous Alan Chan at www.acfishing.blogspot.com had told me that someone had backed out for his ah ho (best bet) aka captain henry trip and I grabbed the slot even before I apply my leave. 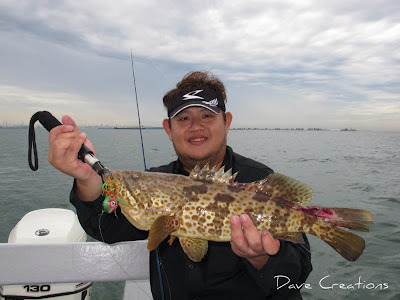 I’ve always wanted to go out with ah ho but his booked is not easy to book as he is such a popular fishing charter in Singapore. Everytime someone asked me to tag along i didn't have the time but this time i made sure i went! The best thing about fishing with ah ho was that I only lived a few blocks away from him and I can hop on to his ride to RSYC! Ah ho is a very direct boat captain and will tell you immediately if you are doing something wrong. He is usually right about what he says so it will be wise to follow what he says. I found this out from him the first day when he shared with me the better way to work a inchiku jig. The day started off poorly as a torrential downpour hit us. This seemed like the last southern island trip with abang! Rain and rain and rain... 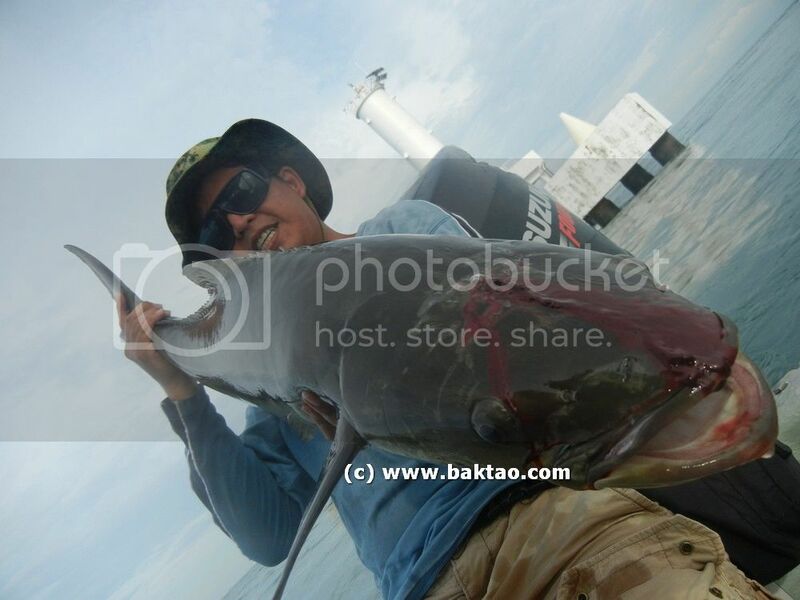 I cast a glooomy figure as i tie my FG knot with 40lbs triumph fluorocarbon leader line…. 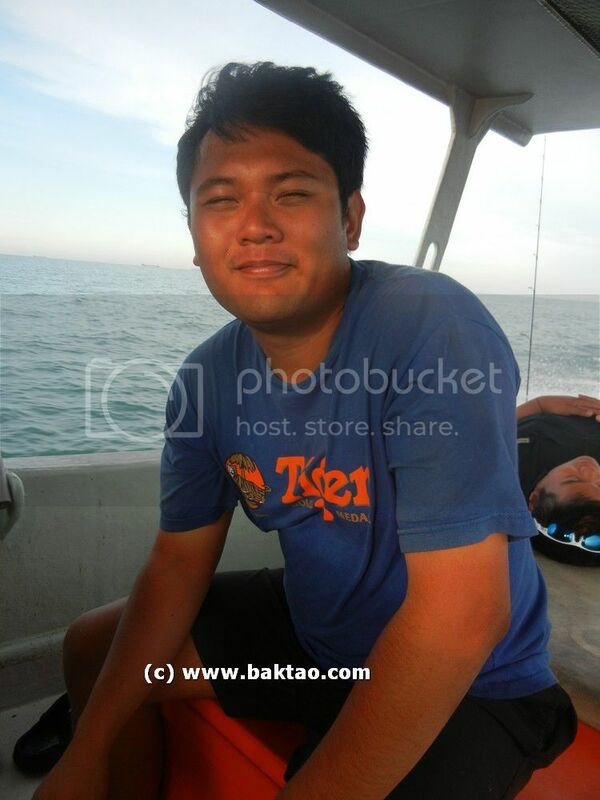 Joining us on this trip were Apple and Jonathan… on their first fishing boat trip out. We had some live prawns for them available although Jonathan managed to snag some fishes on by jigging later on! The heavy rain meant we stopped all fishing immediately after dropping our lines for a few drifts around bukom area and went to Pulau Hantu for some shelter and hot west coast soya bean! 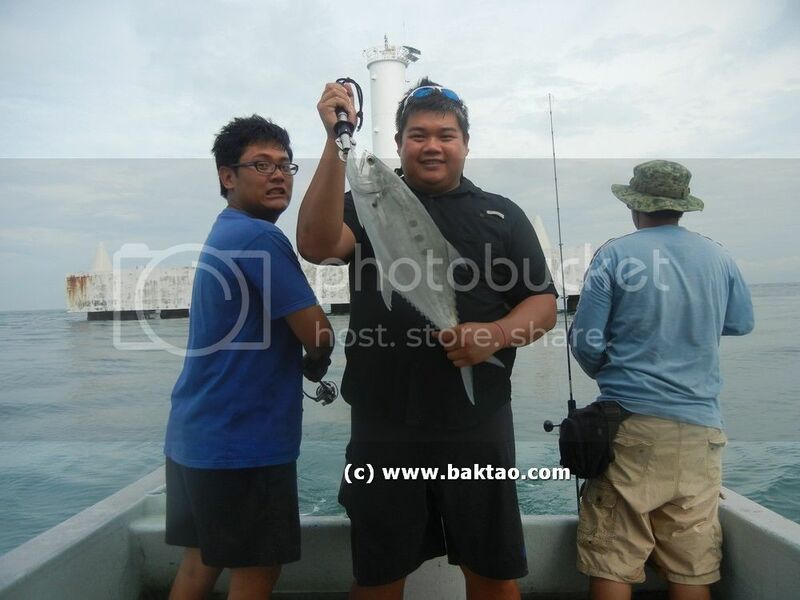 The great thing about Pulau hantu was that you can try eging there but nope the squids weren’t around but ah ho managed to land a good sized grouper on bait. We saw loads of huge splashes at the jetty breaker area. Some massive fish was playing around but we were all very lazy and decided not to go for it. I casted a madai jig at it but it didn’t take the jig… On closer inspection, it was a big barracuda minium 10kg that was playing around! Luckily it didn't take the jig if not the barracuda would surely cut off the leader! Ever seen this madai jig? A nice rainbow formed after the rain died down and we were telling ourselves it will be our lucky day lol… On this trip, I managed to land 2 fishes on Inchiku…they were the usual suspects grouper. 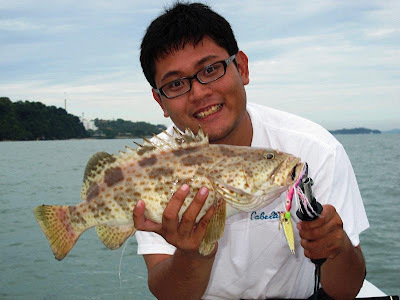 There was a funny moment when ah ho hooked on to a big grouper at least 5kg and above on 4lbs braid with inchiku… he just laughed while the fish took out line and he later on lost it. The hook came out of the fish mouth… he told me his tackle was too light but later on drop back the same jig using the same tackle at the same spot… What? LOL. The fish simply weren’t biting today but we still enjoyed ourselves… Looking forward to the next ah ho trip! 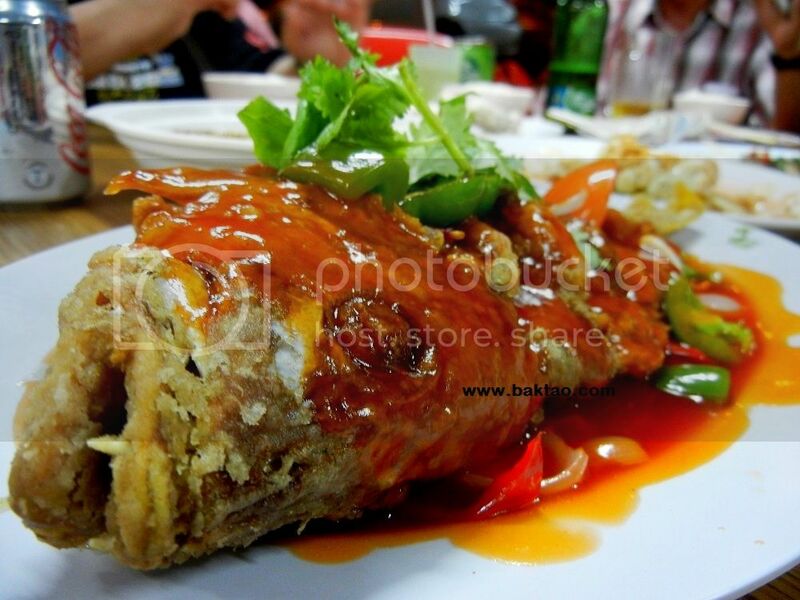 Hi all cooking fans and fishingkakis who want to know how to prepare your fresh catch! 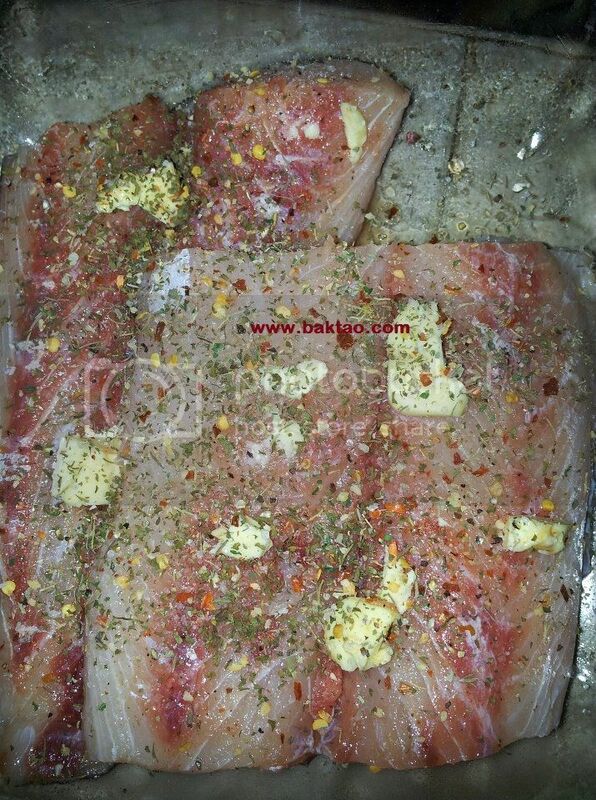 In this post, we have some fish cooking tips from Nick (a friend of mine) who got his wife to prepare for him homemade baked cobia with herbs straight from the heart! In this post, i will share his pictures and his rough instructions on how to bake the Cobia with a little tips here and there from me. 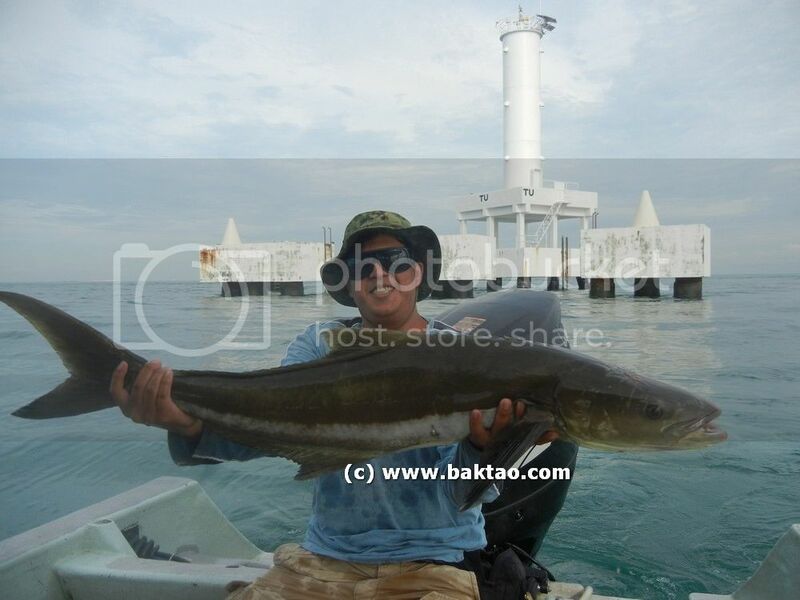 Hopefully, fishingkakis will appreciate the humble Cobia more and accept it as a great tasting fish! The Cobia is in the same fish species as the hamachi or hiramasa aka japanse yellowtail kingfish and is considered good eating! Cobia sashimi is excellent if you have the meat bled! Follow the below steps so you can learn how to bake Cobia! Baked cobia is one of the best ways to cook this fish and it is healthy as well so it's a winning recipe! Cobia is actually a little like chicken meat and i love to prepare it pan fried Cobia, fried with vegetables, baked, fish n chips or even in pasta! 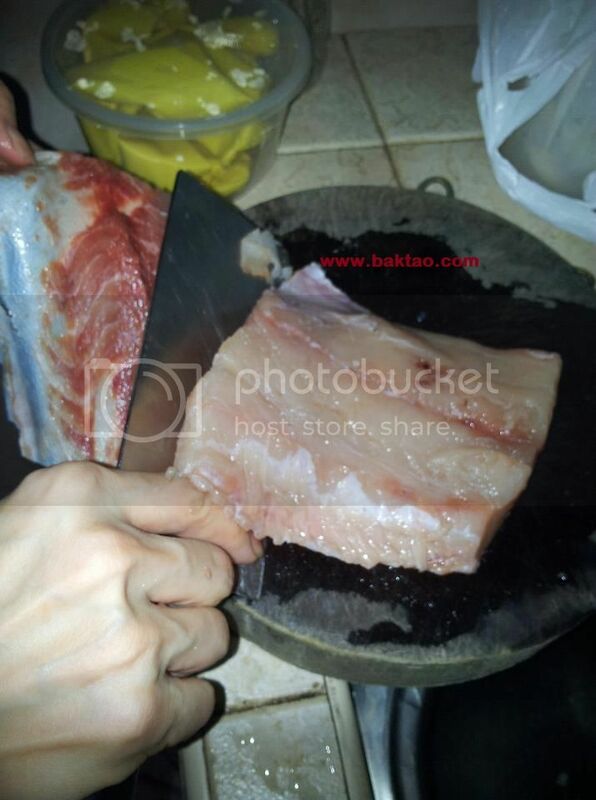 The first and most crucial part of the Cobia is to deskin the fish and remove any bloody meat. 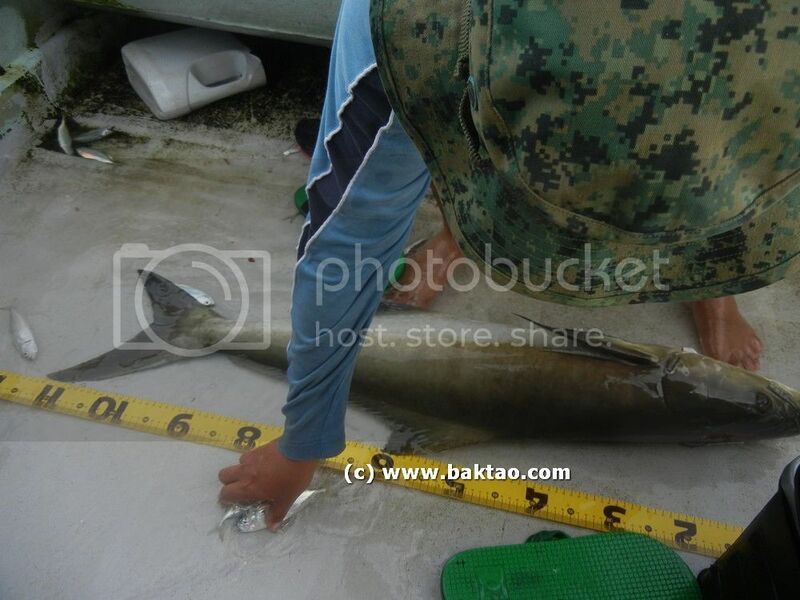 Of course, the best is to bleed a small Cobia usually around the 5kg and below range to get the best meat. After deskinning, Nick sprinkles his Cobia with herbs, sea salt! 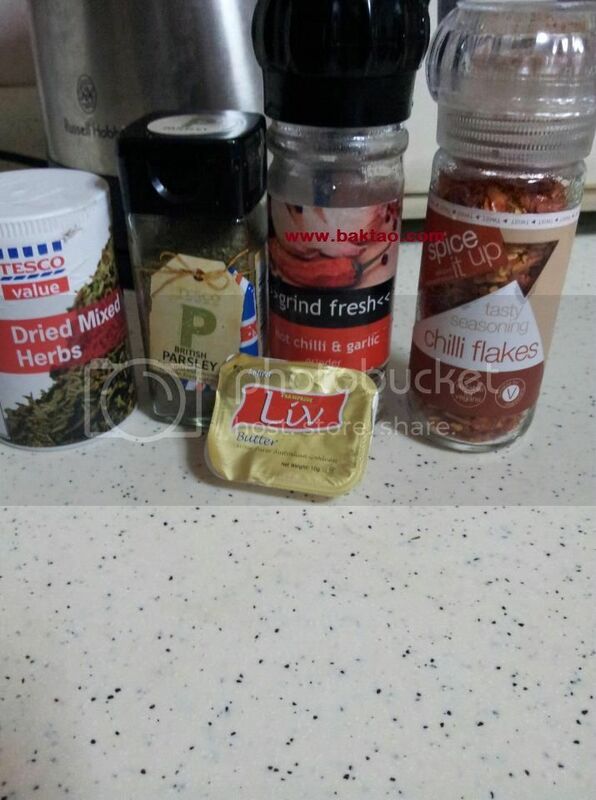 Some of the herbs he used! A little on the rough side if you ask me... chilli flake, mixed herbs. I suggest dill leaves, oregano and ground black pepper with a drop of lemon! 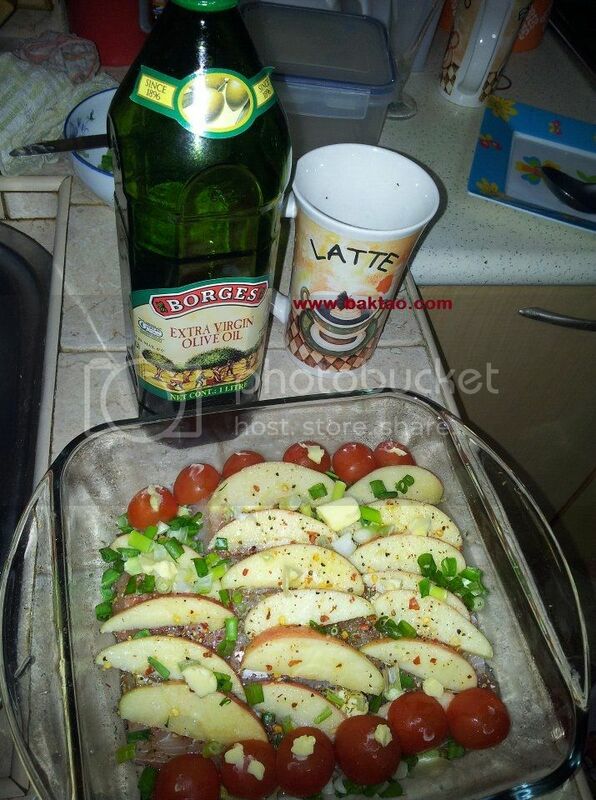 Top it with cherry tomatoes and apples! In the oven for 200 degrees and 20minutes!And there you have it. 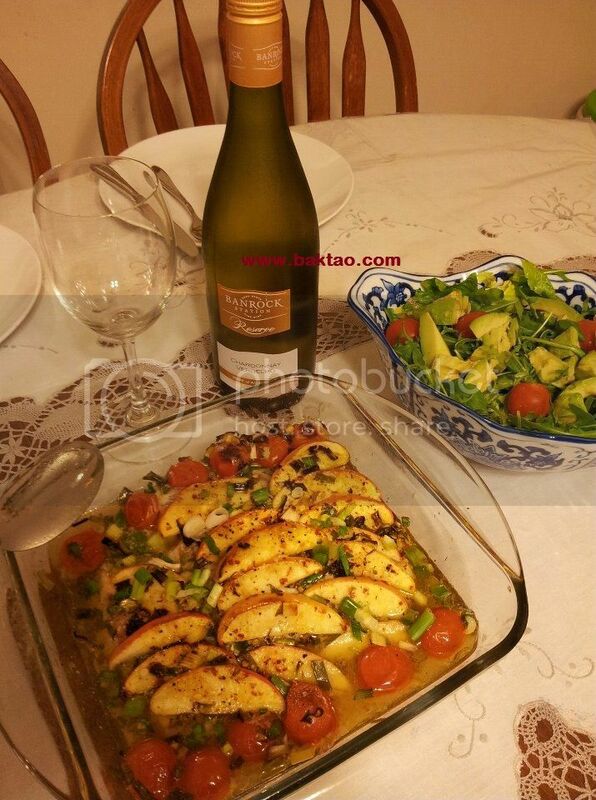 fabulous baked cobia served with wine! 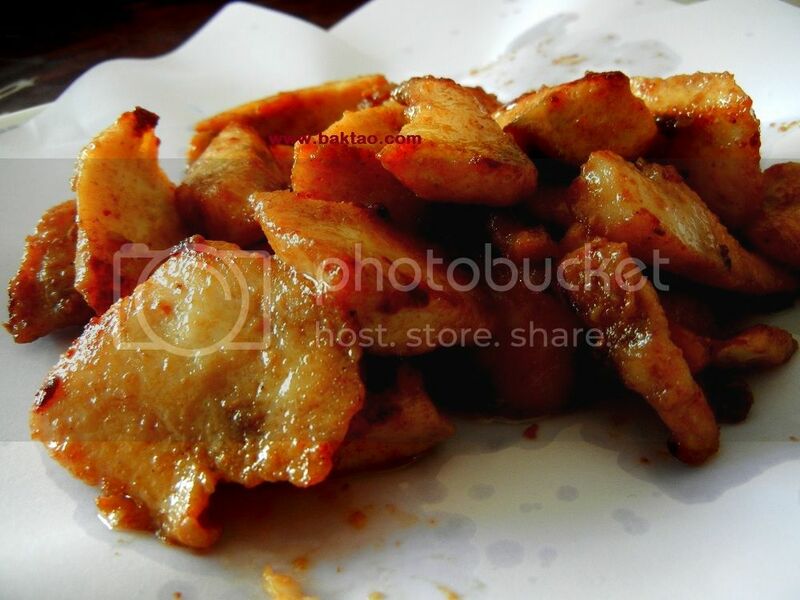 Subtle Salted Fried Cobia to go with teochew porridge. Very subtle salty taste and excellent with porridge! Just to share a short CR that happened a few weeks back. 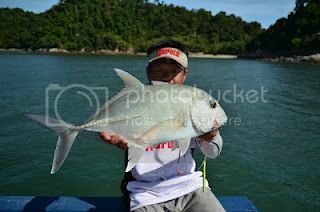 We were supposed to be having 2 solid days of day jigging and a good night's rest at Pelangi Balau Resort but due to a minor car accident while driving to the beach, we had to get our car fixed and we could not go out fishing for the day. 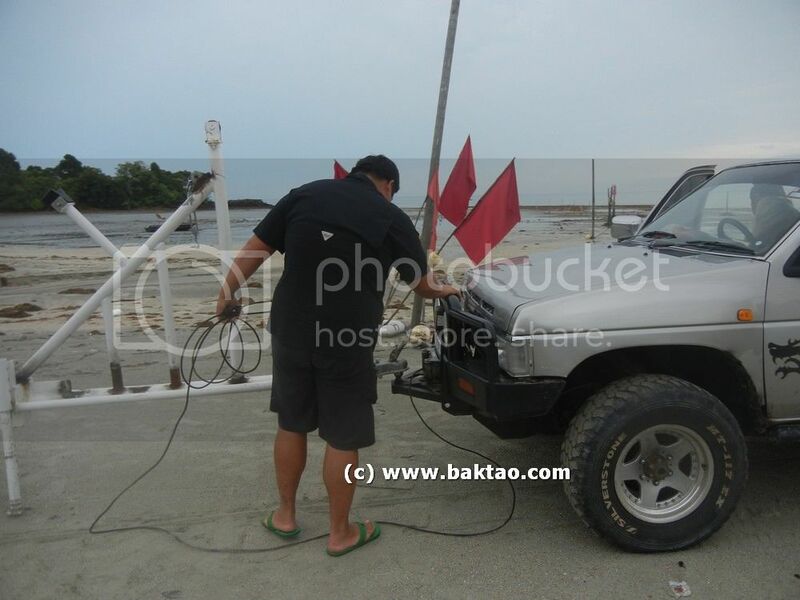 So it was back to our resort after Captain Badol touched up the car with a little bit of marine glue. 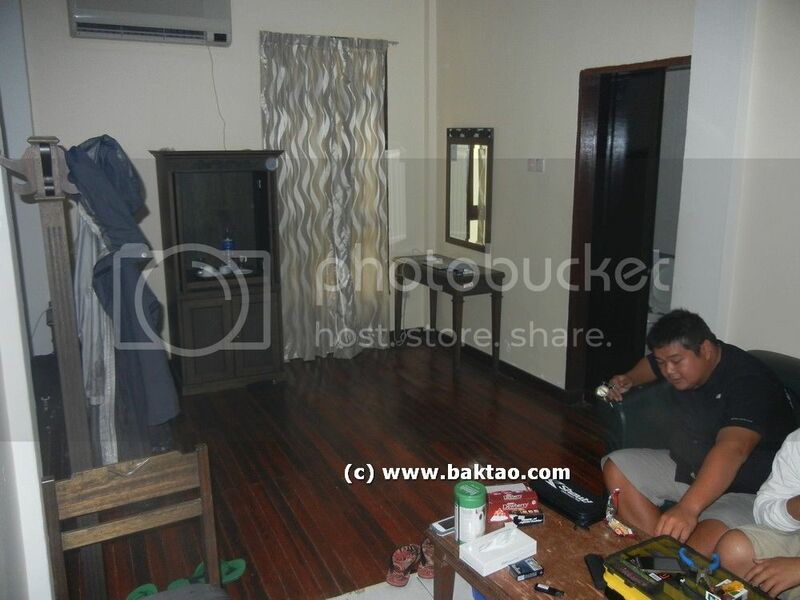 The resort was reasonably good as we paid around $200 SGD for 4 of us for a villa. It came with a simple breakfast too! We could finally fish on the second day and we were raring to go! Anyway, we packed up and made the boat trip to TU Lighthouse where there were boiling and feeding frenzy all around us! I had a good fish hit my storm chug bug popper thrice but fail to get it cleanly! 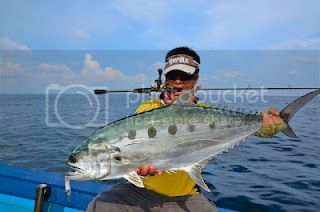 Sadly to say, the frenzy died down when they heard the boat approach.... but we still managed to get some Queenfish! The Queenfish were hitting Jamie's Ima Gune fast and hard. Halfway through, Shawn got a big take on the drop and began his fight with his first Cobia ever on jig even! Way to go bro... Finally some good fish for you this year! Weighed up 22lbs on the Bogagrip... a good sized one. 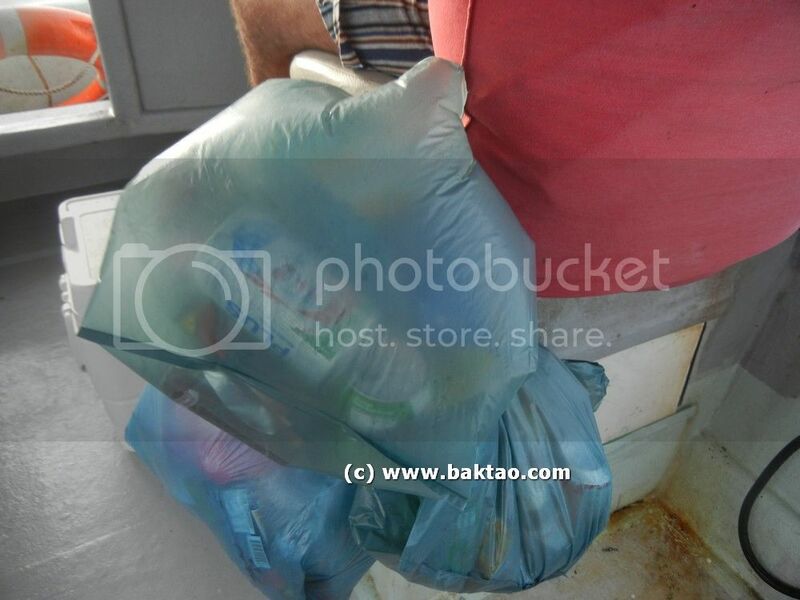 Save the world guys... throw your rubbish elsewhere but the sea! It was late after Shawn's fish and we head back... I'll be raring to have a go at TU again! Looks like the fish are returning! On driving out, we helped some Singapore friends get their car out of the mud! They were there for some wind surfing or boarding and got their car stuck! Wouldn't wanna be them! Note that this blank is already sold out at Sabre tackle and they will not be bringing it in. Future Calstar blanks will be supposedly made in China. 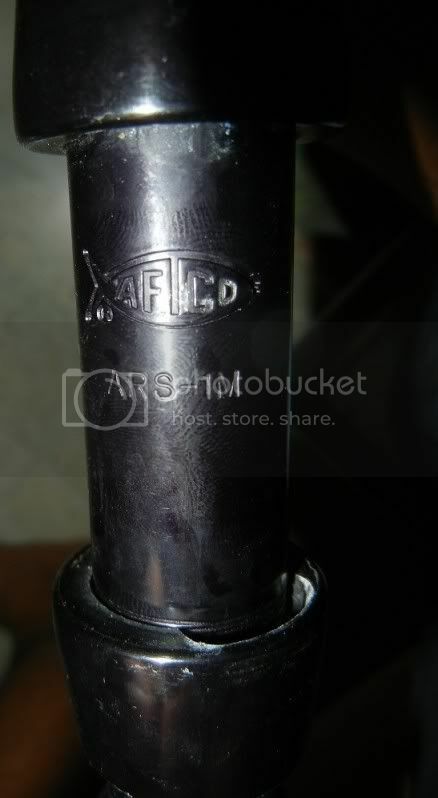 This rod was built in 1999 and has been perfectly maintained, softened and still in great condition. Just brought this rod to TP and used 4pcs of size 18 sinker = size 72 and it handled beautifully. Selling at $250. 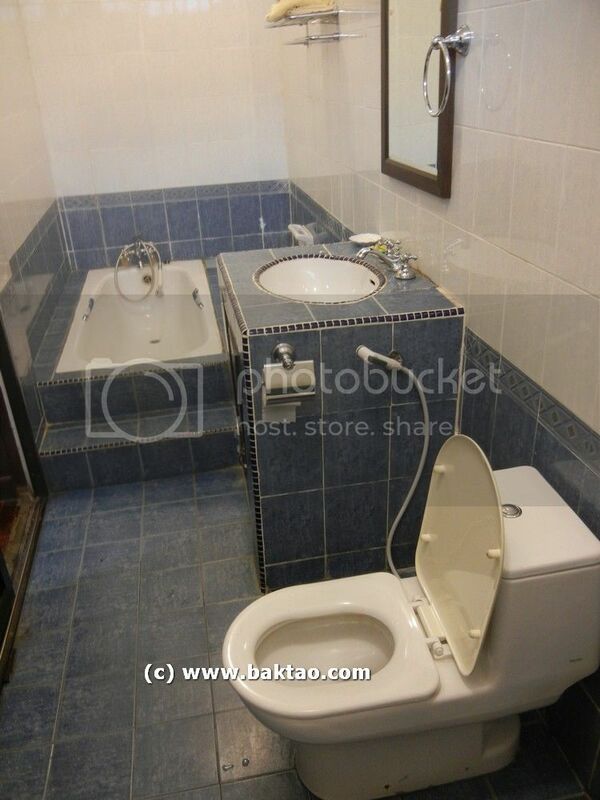 Deal at bukit panjang only. 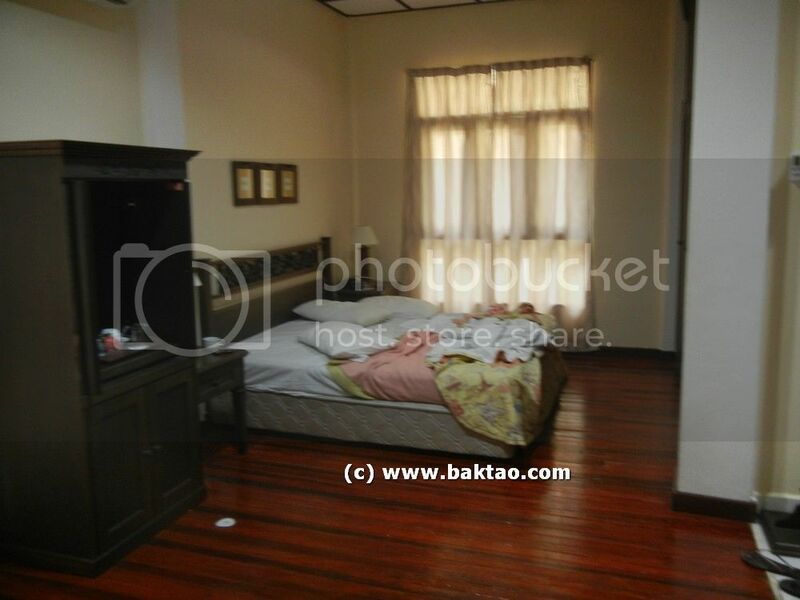 Price is slightly neg if you are a serious buyer. 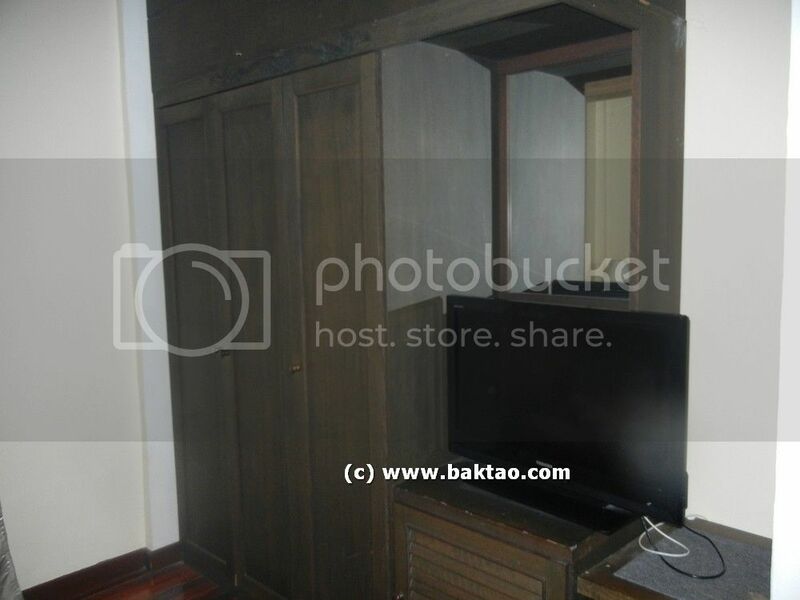 Pls Email me at nigel.lian@gmail.com your contact details. 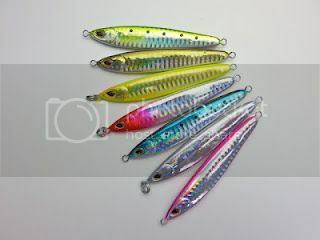 Rapala has finally caught onto the jigging scene after being a maker of lures for quite some time. And in one of their brands (Storm), they have been doing it right. 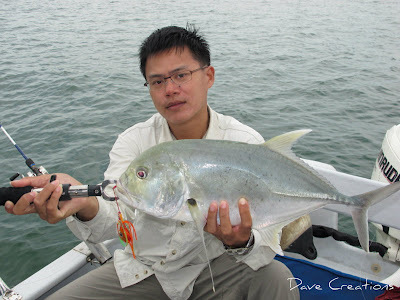 The local fishing and jigging community of Singapore and south east asia have been getting good jigs from them and I suspect this will continue for quite some time as the light jigging and micro jigging craze lingers. Wonder when will a Storm madai appear though…. Storm (by Rapala) has been producing good quality jigs at affordable prices for quite some time now. 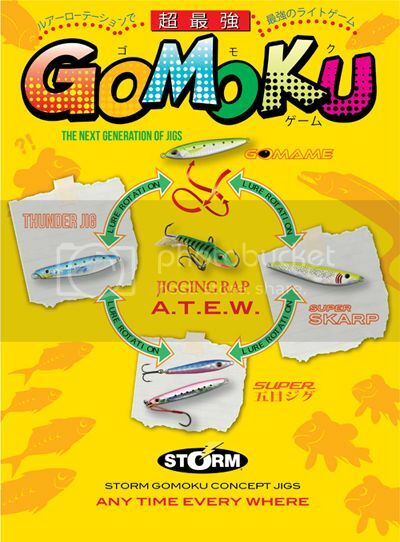 They have followed up with the Storm Gomoku series following the success of the Storm Thunder Jigs which were a big hit with pelagic species and light jigging fans alike! I have had the fortune to use a few of the Storm Gomame during my recent trips to Desaru and I was impressed with the sleek profile. 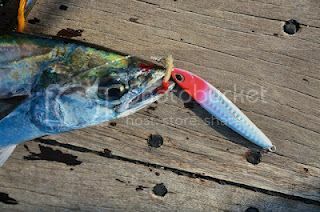 It was very suitable for fast speed jigging but still offers little resistance while jigging. 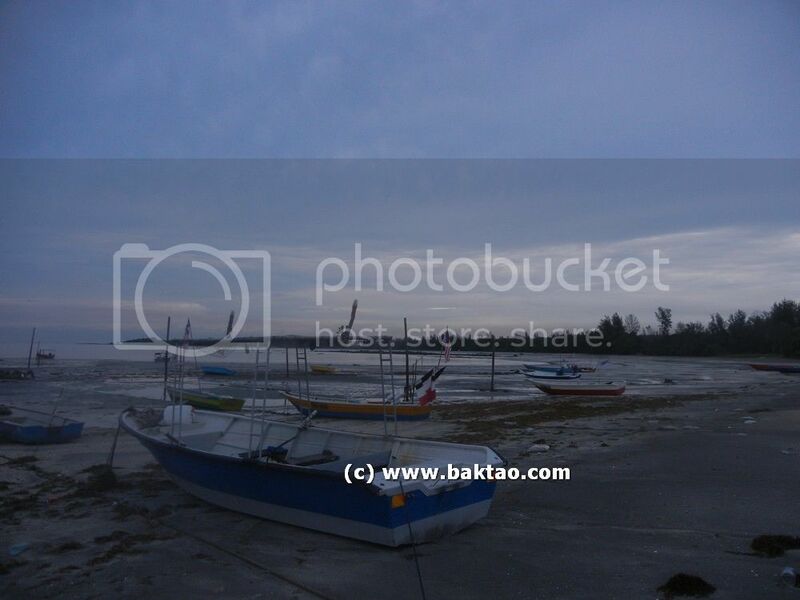 I hit a few Chencaru and Queenfish during my trip to TU Lighthouse Desaru but pictures are still missing now. 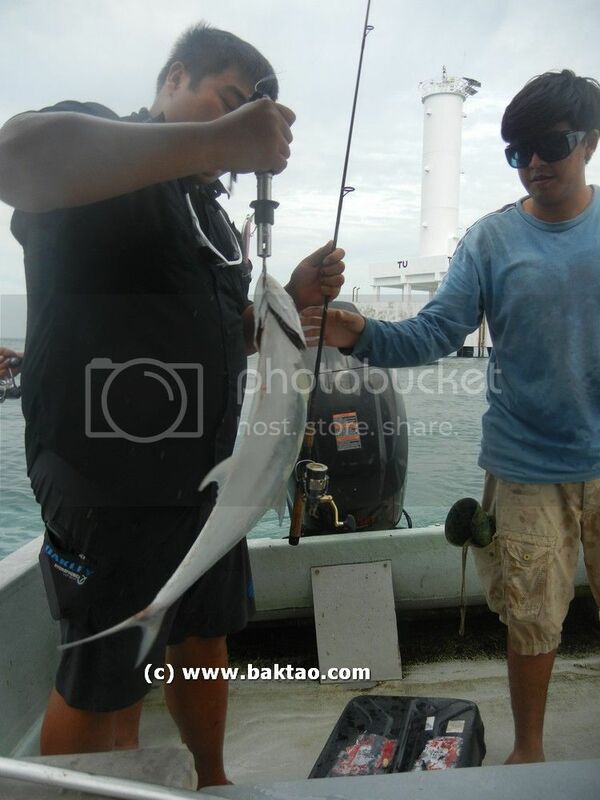 You can target species like Spanish Mackerals, Barracuda, Queenfish, GT, Tunas, and Dorado etc. 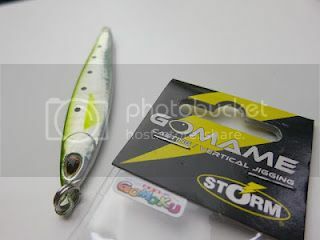 The Storm GOMAME is designed by lure designer Mr Hiroshi Takahashi. The sleek, curvy-shaped anchovy profile is specifically designed to give maximum flash and crazy darting action especially for high-speed jigging and casting. 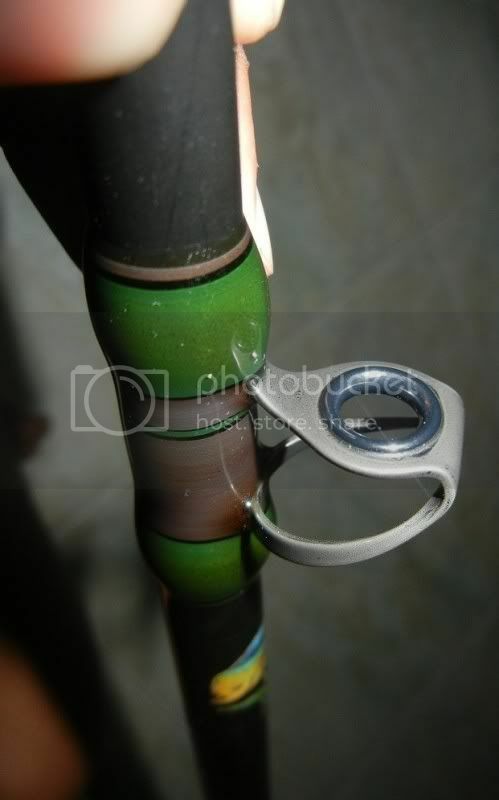 A prominent feature on the GOMAME and the other Storm Gomoku Jigs is the quality holographic finish of these jigs. Here are some choice pictures and writeup for the Gomame Jig by Rapala after seeking Rapala’s approval on the permissions to use their content. We have always wanted to try micro jigging and popping in our Singapore Southern Islands and it so happened that Abang was free on that Monday since it was his off in lieu. We had a quick arrangement and off we went to our first pure southern island jigging trip with madais, inchikus and madai jigs. You can get these jigs from Singapore tackle shops here as it’s currently the in thing. 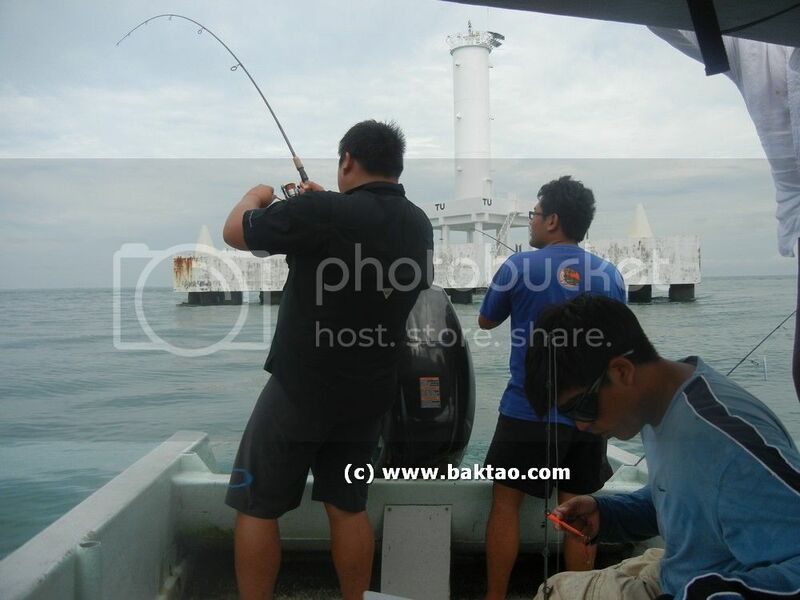 We went to the popular spots like near Pawai, Jurong Island, Bukom and even Labrador. We met up at West Coast market very early on at around 730 am to have breakfast. 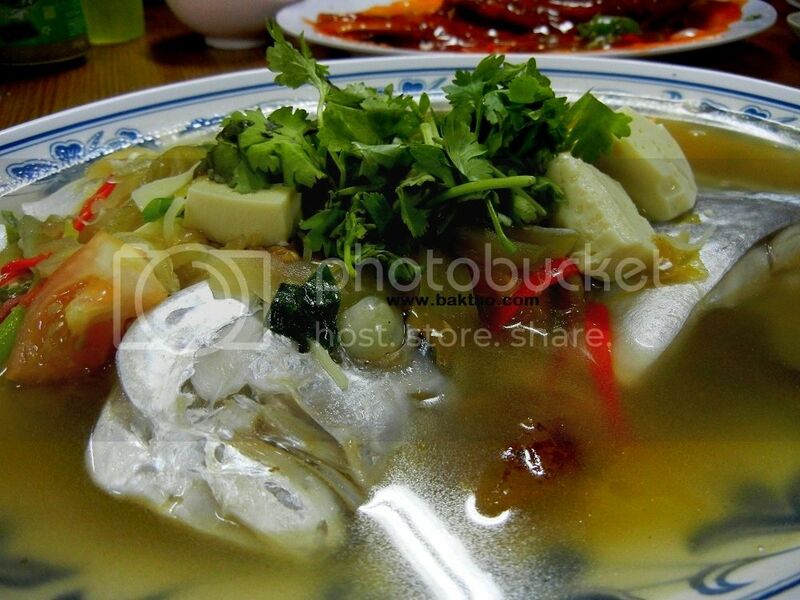 I had my favourite west coast market tau suan… but it then started raining heavily. A quick check at the Singapore weather forecast website revealed heavy rains and wind. We were slightly disheartened then since we will cancel the trip if the weather continues but at around 9am, the weather became better and again (slight disheartened), we set off for RSYC (Republic Singapore Yacht Club) to board the boat. It was rock and roll to the first spot and while taking cover from the wind at one of the islands, we spotted ah ho (best bet) also taking cover there. After the wind die down, we finally got to the first spot near the reefs and drop our jigs. I saw the fish hit Dave’s madai once and miss… it then came back for a second hit and very soon Dave was onto a good fish with his Ripplefisher rod. Great fight! 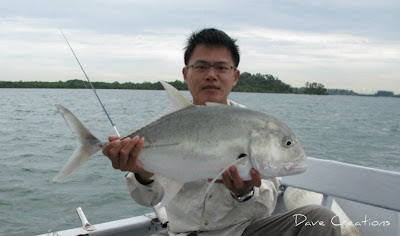 A decent GT (Giant Trevally) came up! The GTs were hitting Madai! We drifted along the reef and hit some good fish with Andrew getting two good sized orange spotted groupers on Madai. One of the Groupers got the tail damaged when Andrew yanked it out of the rocks. 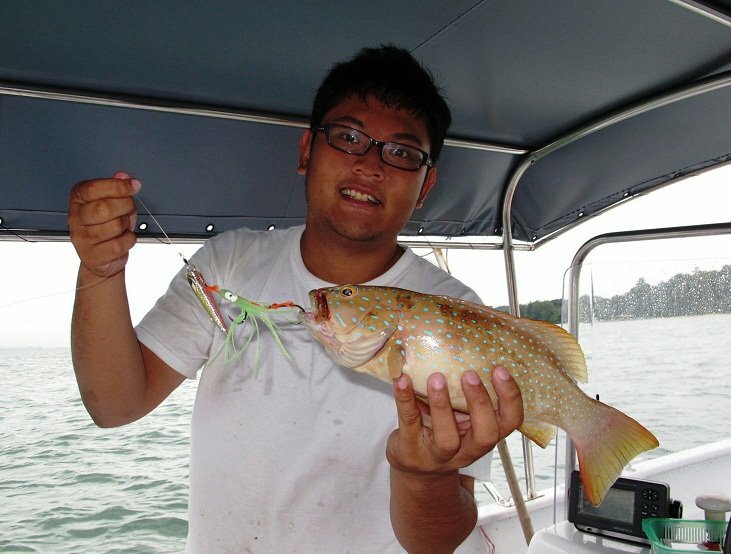 I myself hit yet another ang gao or coral trout on asari inchiku… the take was the usual ang gao take... attacking the jig for many hits before swallowing it! Another coral trout for me this year! Then Dave did it again! Another big take on the drop! GT! He was really on a bounce! The action died down around lunch time and we ended up fishless till the afternoon where we drifted around Labrador area and I landed a nice grouper which became our dinner. 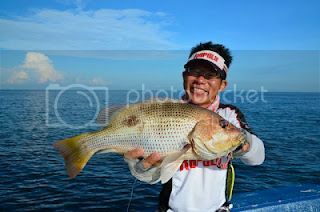 Clarence also broke his duck with a nice golden snapper aka ang chor on madai! I later on lost a big take around Jurong Island with my Majorcraft Go Emotion... The take was so big that line was peeling even though I was on almost max drag on the daiwa hyper certate custom 2500! I almost fell into the water with my rod but luckily my other leg was inside the boat.. hahaha… It was a suspected parrot fish! 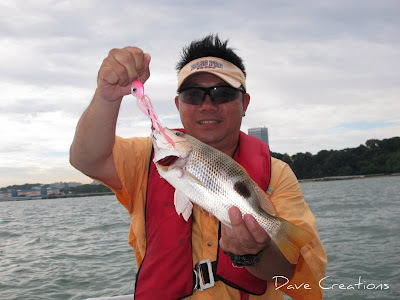 We’ll definitely be back for some action in the fishing paradise of Singapore!